Welcome back to our series about cross generations at the workplace. 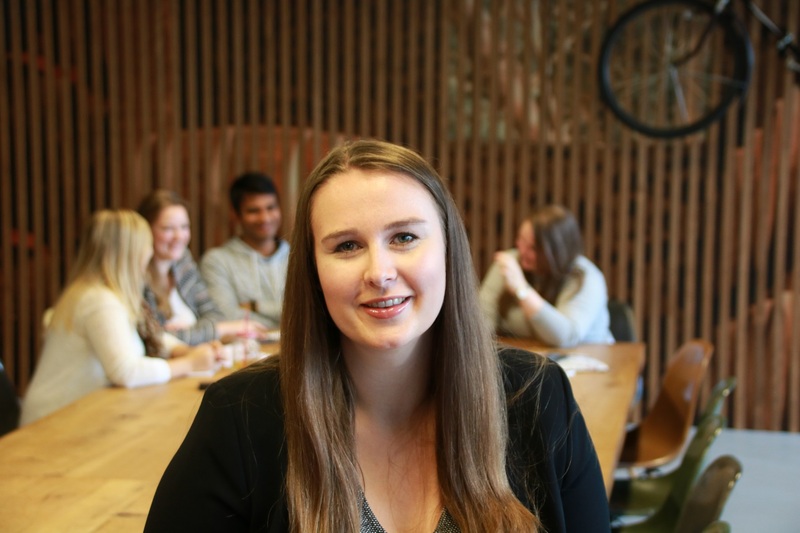 This time, we’re going to hear from Katharina how she experiences her everyday life at work with regards to her motivation, communication habits, the role social media plays, and much more. My name is Katharina Hellmich, I am a Product Manager with Focus on Procurement and Co-Innovation. I had my first touch point with SAP during an internship in 2012. I was with IBM at that time and took responsibility for the technical marketing of a database in the IBM SAP International Competence Center (ISICC) in Walldorf. As part of this job, I had many interactions with SAP on various tasks. Through those projects, I got to experience SAP`s innovative spirit and decided that this is the company I want to work for in the future. I joined SAP in 2013 and explored various position, such as product support, marketing and strategic partner management. After completing my M. Sc. in Management at the university of Mannheim back in 2016, I finally joined the SAP S/4HANA Cloud Product Management & Co-Innovation team. After hearing different points of views on cross generations at the workplace, I want to chime in on the discussion that has arisen in our team when we came together to realize the idea about this blog series. Millennials tend to change jobs and roles more often. Is this something you buy in? I do believe millennials change jobs more frequently. Nevertheless, I firmly deny that the reason for this is that we are disloyal. I would actually argue the opposite. In my personal opinion, the main two reasons millennials will start looking for other jobs is that they are not satisfied by their tasks or perceive the relationship with the company to be off balance. Let me start off, with the second case, an imbalanced relationship between employee and employer. In one of Bert´s previous provocative blogs, millenials were earmarked as only contributing to their job as their employer is investing in them – in contrast to older generations. Having people from previous generations insinuate that millennials are entitled and demanding is a common stereotype. However, I think this is just the rational behavior of “homo economicus” which is prevalent in all generations. Also, to build on this I would like to plead Social Exchange Theory. According to this scientific theory, a subordinate – superior relationship is driven by cost-benefit analysis, whereby costs are not only seen financially. Every individual will thrive towards an equilibrium where his inputs (effort in his job, time, skills) is in balance with the output he receives, such as salary, training and promotions. If an individual perceives the relationship to be in a disequilibrium, he will either adapt his inputs to the output he receives, so for example work less hours, or the individual will terminate the relationship. And this is not something new, Social Exchange Theory has been around since the 60s. Therefore, it is safe to say that changing jobs due to an imbalanced relationship with your superior is not a millennial phenomenon, but rather a cross-generational rationale and economically plausible behavioral pattern. Therefore, I assume this stereotype persists because nowadays it is much easier to switch jobs as possibilities are endless. But let`s now turn to the more interesting case in which millennials are not stimulated by their tasks and duties. My generation consists of digital natives as I am one myself – as such I feel different than other generations in regard to technology. Growing up with the Internet, smart phones and other technological devices I was forced to adapt to new environments easily and to acquire new skills and knowledge quickly. Since I first started using a computer in my childhood, I have actually never taken a computer course or read a manual on how to master computers or any other technological device. Our generation learns by doing and this with immense pace. This in turn caused us to be very eager to learn and to try out new things. Personally, I blossom when I`m being thrown into new situations and have to learn new things. I like challenges – and more importantly I like change, especially if it comes to new technologies. When I talk to older generations, it becomes obvious that they are more distrusting and skeptical towards new technologies, e.g. the Internet and Social Media, whereas I am are happy to leverage the benefits they might bear. Nevertheless, my generation`s tendency to be eager to learn and to embrace change also has its downsides. Just like the oxygen in the air, we continuously need new stimuli to satisfy our curiosity and eagerness to change. If we are left with no new stimuli, we simply tend to get bored and unhappy. And of course this has implications not only for our private life but for the workplace as well. I would conclude that millennials yearn for a job that exposes them to new stimuli on a frequent basis. We want to discover new things, master challenges and acquire new skills. For this, we need jobs that offer a repertoire of versatile tasks or are flexible enough to change over time. I want to be challenged, I don`t want to govern a status quo. Managers need to take this into account. When they deal with millennials and they have to adapt the management style accordingly. Being capable of truly inspiring us and showing a vision of something great to contribute to. In that scenario I am very committed to work towards those goals. To achieve something of great value, I am more than willing to stay for decades and make significant sacrifices going the extra mile. This makes the IT industry a perfect fit for me. I can go after new technological advances and tackle trends like Blockchain, Machine Learning or Predictive Analytics. It is one of most exciting industries, where change is a constant flame. First of all, I would like to state that our generation is of course interested in corporate benefits, such as salary, company car, share option etc. However, I also believe that this is rather a prerequisite to attract us in the first place. When evaluating different job offers, this will be an important decision criterion. Also, further down the line, when we feel like we don`t receive the compensation we deserve based on our performance, we I will start seeking for other opportunities. Nevertheless, in my opinion true motivation can never be obtained just by financial incentives. But this also holds for flexible hours or having the option to work from home from time to time. Of course, financial rewards as well as good working conditions that enable a good work life balance are valued by my generation, but this will not inflame a steady hunger to excel at one`s job. But is this really something where generations differ? I assume a monthly paycheck and a company car is not the primary motivation. I assume we are not much different in that respect. In my opinion, what motivates us is of intrinsic nature. This has also been proven by a vast amount of management studies that found that the effect of extrinsic factors, such as salary, on performance is minimal. To some this might sound cheesy, but I truly believe that working for SAP I do have an impact on our company`s vision to help the world run better and improve people’s lives. I firmly believe that many of my fellow millennials get motivated by this as well. We do want to touch people`s life and make a difference. We want to have a purpose and have an impact. Our generation is conscious of its privileges and want to give back by tackling challenges that our society is facing these days – such as global warming, world hunger or gender equality. I`m sure many people would challenge the impact of ERP on social welfare or global warming. Let me explain with an example as this really inspires me: the port of Hamburg. Leveraging software, they are able to overcome physical restrictions in space and run their operations more effectively. Optimizing truck planning drastically cuts back on CO2 emissions. Slowing down the climate change is something that gets me up in the morning. Another topic is gender equality: As a young female professional, I assume it must have been significantly worse for previous generations though I also experienced bias myself. Growing up my parents never treated me and my brother differently. Looking back, I probably didn`t comply with typical female stereotype at all, I was outdoor almost all day and as tough as my brother was. I was raised to believe in that I can achieve everything I want as long as I work hard enough for it. I believe in today´s business world there is still room for improvement. I am all in to tear down this glass ceiling! I consider a professional usage of social media, such as LinkedIn, Twitter or YouTube a necessity in today’s working environment. There is simply no way around it. And to be frank, I also don`t see why there should be a way around it. The benefits you can derive from these platforms are just too good to pass it on. In my job as a Product Manager for SAP S/4HANA Cloud with a special focus on Sourcing & Procurement, it is important to get the word out about SaaS ERP and the business benefits derived from it. Since we ship four releases per year, it can be a challenge for customers and prospects to keep track with all changes. To provide an easy consumable short update on every release, we regularly shoot videos on main innovations. And what better way to share my release update videos than utilizing YouTube? For those that would like to dive more into detail on the outcoming functionality, I additionally leverage blog posts and write a complimentary blog. E.g. my latest blog can be found here. In addition, social networks help me find other experts across the globe, exchange on thoughts, ideas and trends. This is impossible to be run in a physical way to the same extend that social media can provide.We also leverage MOOCs (Massive Open Online Courses) to provide comprehensive information in an adequate style. Last year´s course, named “How to best leverage SAP S/4HANA Cloud for your company”, had over 16.000 enrollments and demonstrates the immense power of social networks. I don`t think we would have reached nearly as many people in a classical approach. I don´t feel my generation is fundamentally different compared to generation x or even baby boomers. My core values, aspirations and goals are very much alike. What differentiates us, is the environment of the respective time we grew up in. To conclude, I want to emphasize that learning from each other and emphasizing things we have in common, is more fruitful than contemplating what the other generations are lacking. 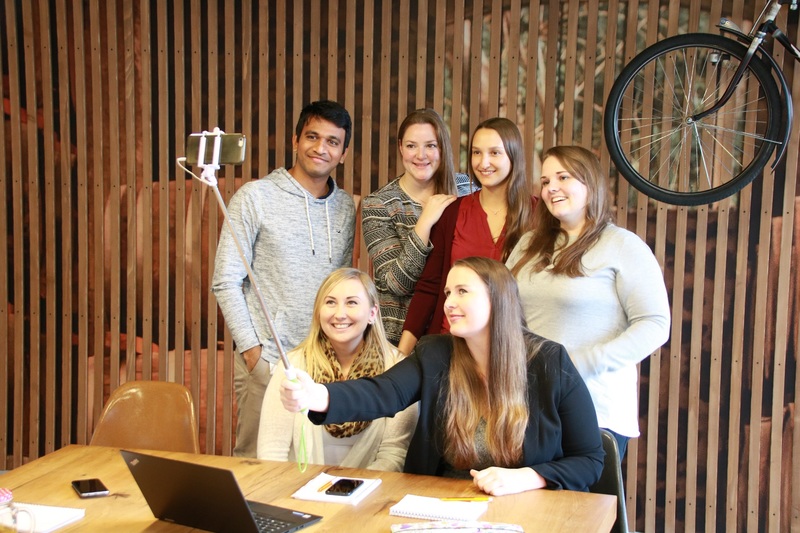 Will millennials change the workplace? My answer is yes, but all other generations also had their “millennial moment” and I don´t think that this change will be as drastic as predicted. More importantly though, I believe that this change will also be desired by other generations, as we share core values and goals. Therefore, I think we have interesting times ahead of us and I`m curious to see what the future has in store for us!